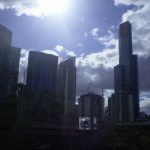 I have today registered for Beyond the Page 2019, the Institute of Professional Editors (IPEd) conference, to be held in Melbourne in May. This will be my first ever attendance at a professional editors conference so I am very excited. I would like to thank not only IPEd for organising this conference but also Editors Victoria who have offered a $150 subsidy to its editor members who live in regional Victoria. By reducing regional editors’ higher costs of travelling to, and attending, the conference, Editors Victoria’s subsidy has created a more level playing field for all Victorian editors who wish to attend.